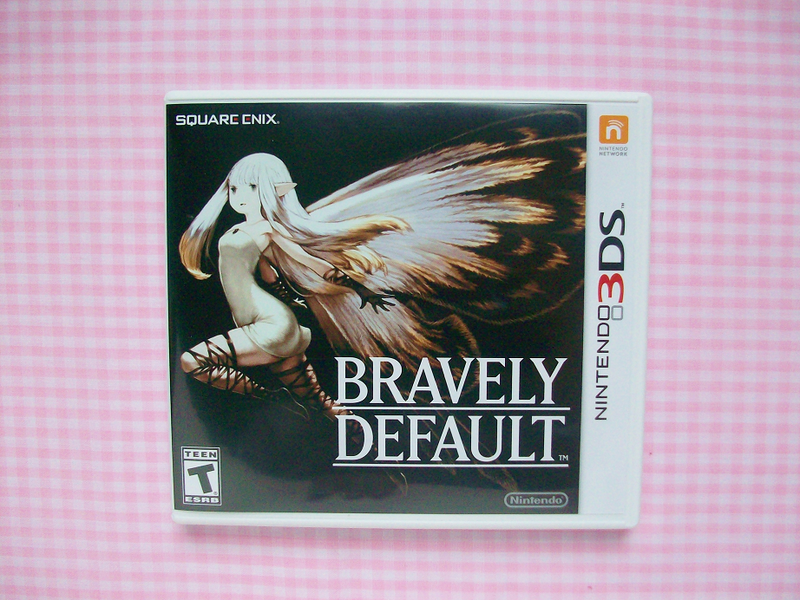 So I haven't made a "game of the month" blog post in FOREVER but I knew that the next time I would make one it would be on this game, Bravely Default. 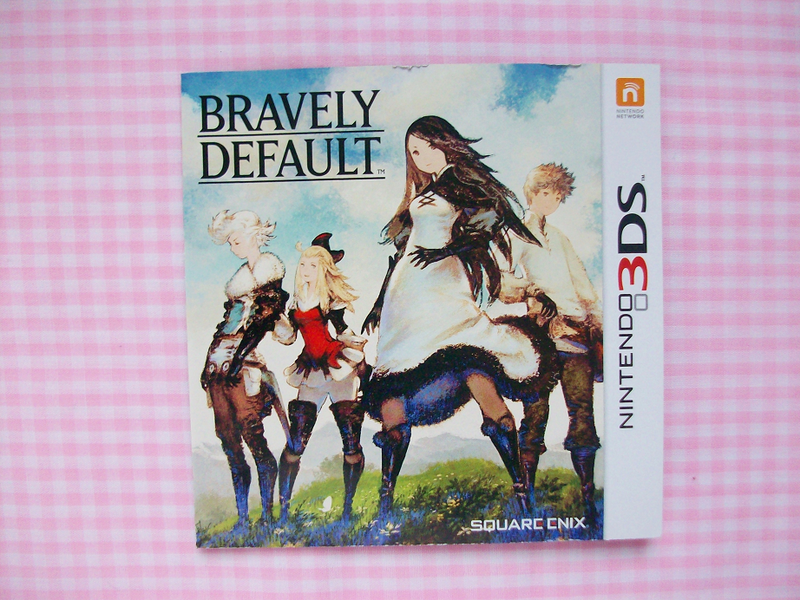 Bravely Default is a RPG by Square Enix it released just last month here in the US but it came out everywhere else months ago! So I'm pretty late to the party with this game but I thought I would still talk about it and give you my review on it in case you are interested in getting this game. 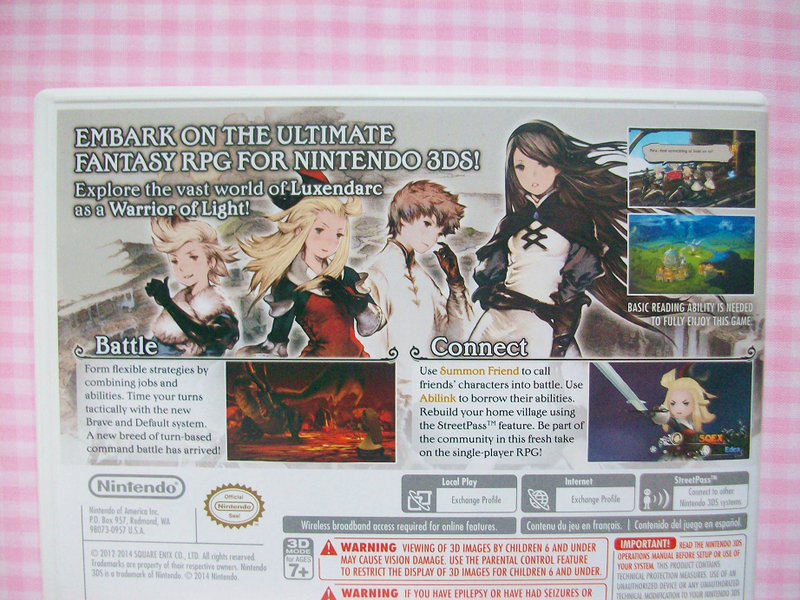 This is the game booklet that comes inside of the game case. I believe the earlier releases got this as their game cover. I think this game cover is pretty but I think the one I have better suits the game's story. Overall the game is pretty good but really long (which I guess is a good thing). I've had this game for a month and I just finished chapter 2 and I think there is like 8 chapters?! I think the story is pretty well written but some parts are just so depressing and sad. The fight style of this game pretty similar to any other RPG or Final Fantasy game. Bravely Default actually really reminds meof Final Fantasy 3 for the Nintendo DS as it also has four characters, they both have something to do with crystals, and you can also choose jobs in there too. Some of my complains are that they could have picked better voice actors, some of the voices seriously get on my nerves! Another thing that got under my skin was when the male characters said stuff like "why are women such..." or "you women are so..." or something along those lines that belittles women. I mean maybe that's my inner feminist coming out but I swear if I have to mention this you know there something wrong. 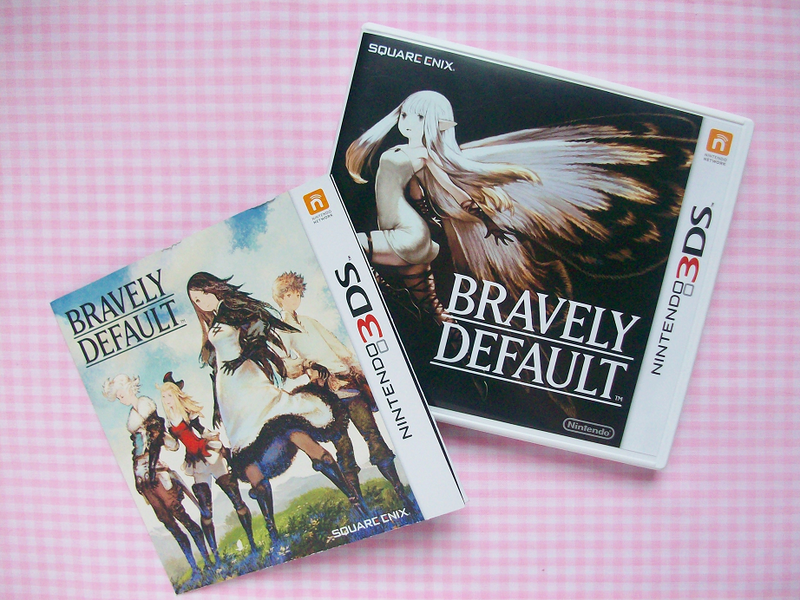 Overall I would rate Bravely Default an 8 of 10. I haven't finish it yet but I really enjoy the game so far. 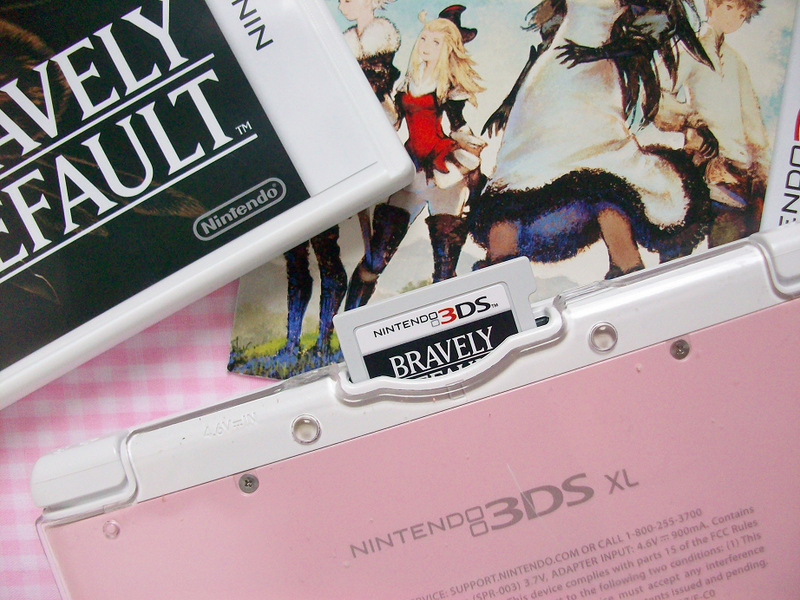 Have you played Bravely Default? Do you like it?